Home Bets Is Ronaldo The Greatest Real Madrid Player Ever? Is Ronaldo The Greatest Real Madrid Player Ever? 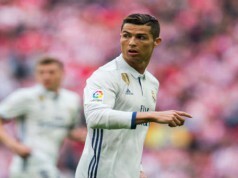 Cristiano Ronaldo is one of the most aggressive players of the Spanish club Real Madrid and he has enjoyed a really successful career so far. Despite being 33 years old, the Portugal captain is still the most dangerous attacker of the Real Madrid and is considered the best player of all time. 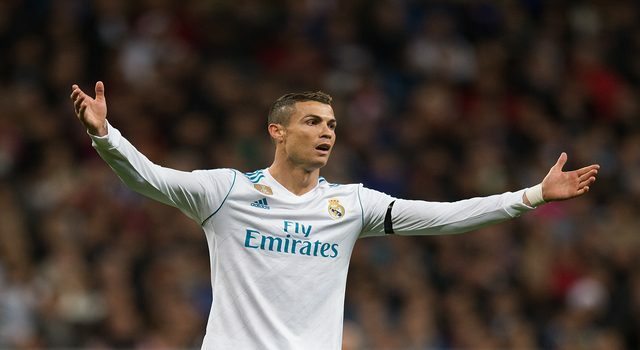 Out of the 437 matches he has played for the club, he has scored 450 goals so far and with his current pace, he might very well finish off with 500 goals to his record for Real Madrid. As a young player from Portuguese, Cristiano Ronaldo joined the Spanish club during the summer of 2009. At that point, nobody would have ever thought that he would become a leader of this great club as he used to be bad-tempered in the field several times. But he has consistently played the best football of his career and Real Madrid has cherished him by making the captain on several occasions. As a forward player and dangerous attacker, he has a supernatural power to score goals from 1/4th of a chance. One of the essential attributes expected from any player of the Real Madrid is the ability to inspire his team towards glory which Cristiano has done on numerous occasions. Ronaldo joined the club when it was having a very bad time and were not able to win any trophies during the season. 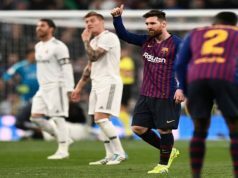 Using his goal scoring potential he has driven his team to achieve several trophies including four UEFA Champion’s league title, two La Liga titles, three FIFA Club world cups and two UEFA super cups. Madrid did not get a chance to win the Champion’s League trophy since 2002 and was desperate to achieve this honour. Cristiano was the one who lead his club to win the UEFA Champion’s League trophy 2013-14 after a long gap. He was the top goal-scorer of this season and he scored a massive 17 goals. After joining the club, the Real Madrid has won 4 more Champion’s League titles. As a modern-day icon and veteran of the club, he has earned the honour of leading the team in several instances. Another interesting fact is that Real Madrid has never lost a match in which Ronaldo was playing as the captain. Ronaldo is an explosive forward player of the club who is renowned for his goal-scoring accomplishments. He has won several awards ranging from the Ballon d’Or to the Golden Boot appreciating his goal-scoring feats. He was adorned twice with the FIFA’s Best Men Player’s award and thrice with the UEFA Best Player in Europe award. He has been the top goal scorer of the UEFA Champion’s League continuously for the last 5 seasons. Many Real Madrid players like to gamble in Casinos and Ronaldo has also been spotted in Casinos on few occasions. If you are into Casinos and sports betting, there are several online casinos where you can enjoy your favourite games like Poker, Roulette, and Blackjack etc. and also betting on your favourite sports events. Online Casinos have improved a lot in recent days and they provide the ambience of a real casino with a wide range of game selection allowing you to play your favourite games in the comfort of your home. They also offer lucrative joining bonuses to attract new players and various promotional offers including free games and rewards. During the early days of the club, Alfredo di Stefano and Ference Puskas were the flag bearers of Real Madrid. Alfredo scored 308 goals out the 396 matches played for the club while Puskas scored 242 goals from the 262 games played for the club. These records were then broken by Raul Gonzalez who scored 323 goals from the 741 times he represented the club. But if you see the records of Cristiano Ronaldo, he is by far the best player of all time and has scored 450 goals out of just 437 matches played. He has broken the records of all the former players of Real Madrid. It’s not just the goals which make him a superior player but also his ability to inspire and lead the team in the right direction towards victory. Paco Buyo, the former goalkeeper of the club told a magazine that “Cristiano is a true legend of Real Madrid for whatever has achieved so far”. He also told that “Cristiano is a star in every sense”. Ronaldo has so many fans all over the world and according to Forbes; he was the highest paid sportsperson in the world for the year 2017 earning a whopping annual salary of $58 million and another $35 million from endorsements. 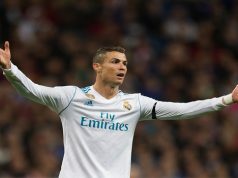 Ronaldo has been the choice of the younger generation for his brilliance in scoring goals and charging his team towards victory on several occasions. He truly deserves to be called as the greatest Real Madrid players of all time. Ronaldo is big star and some are impressed, but clearly not the best Madid player.